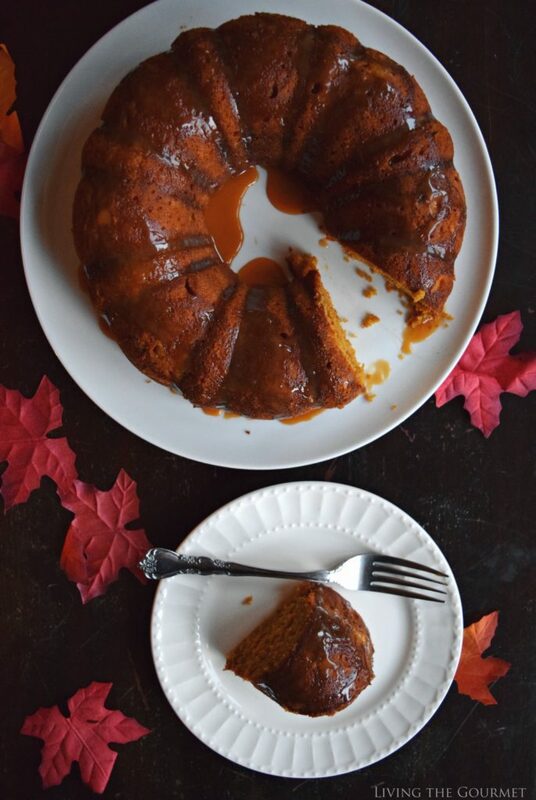 This moist Pumpkin Spice Cake is a comforting treat especially with a warm drizzle of caramel! 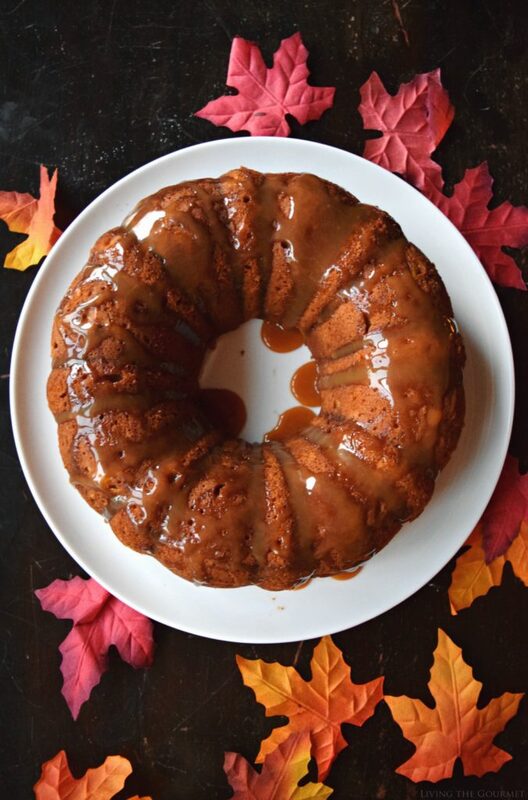 This month the Bundt Bakers are celebrating Fall! 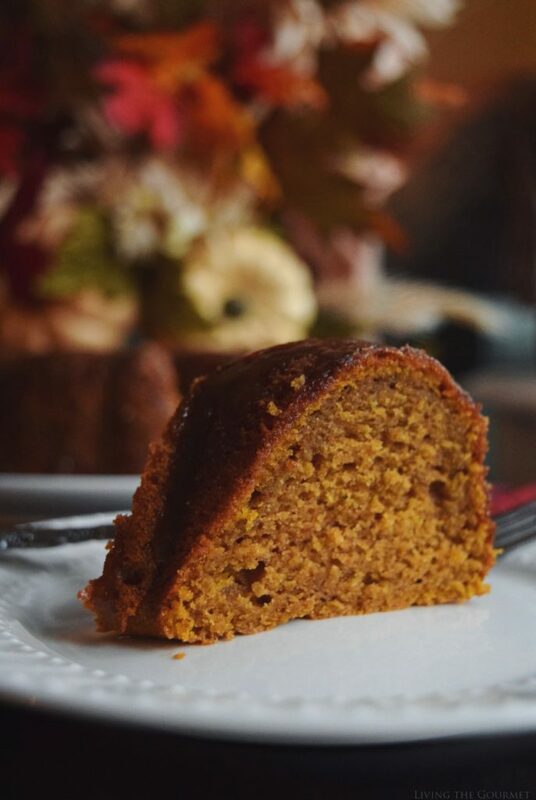 We’re officially kicking it off with our seasonal favorites and I could not be more excited to share with you this delicious classic – Pumpkin Spice Cake with Caramel Drizzle. 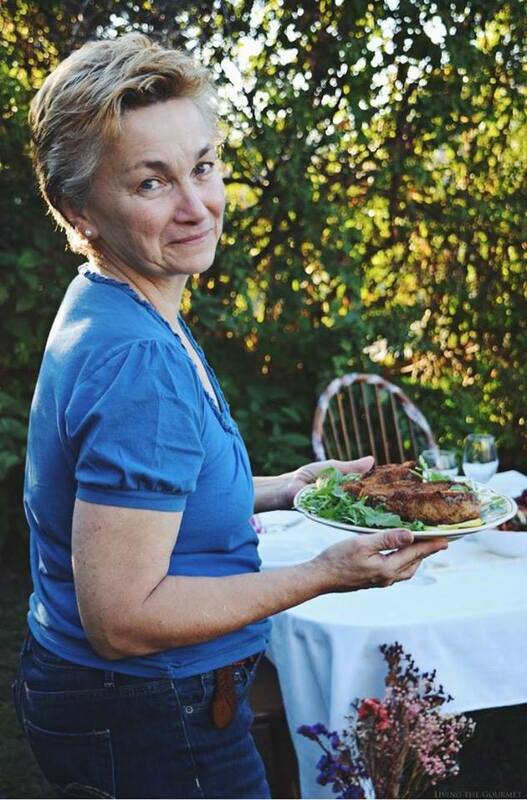 Our host this month is Teri from The Freshman Cook and I’m so delighted to be baking with her. Teri has a beautiful site and always creates the most wonderful bundts each month. Be sure to see what the rest of the Bundt Bakers have brought to the party below the post. Today’s recipe is a super moist, autumn filled treat that’s a perfect alternative to the classic pumpkin pie. This dessert is sure to please your guests for the upcoming holidays! 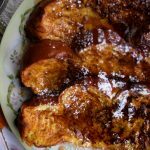 It steals the show with fresh spices, evaporated milk and a warm caramel drizzle to seal the deal. With an electric mixer, cream the butter and brown sugar; add the eggs and the pumpkin and mix until smooth; add the milk with the mixer on low speed. Sift together the dry ingredients and slowly add to the butter mixture with mixer on low speed. Bake for 30 – 35 minutes or until the cake springs back and the toothpick test comes out clean. 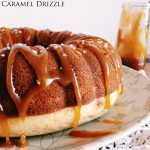 Drizzle the cooled cake with caramel sauce. This looks divine! Warm spices and rich caramel...awesome! 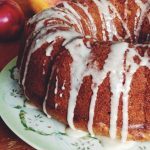 This is such a perfect Fall cake! 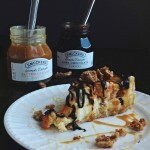 Love the combination of pumpkin and caramel! This looks so amazing, I would love to sit down with a slice of this and a cup of coffee! Dear Catherine, Wow - this is such a gorgeous bundt! 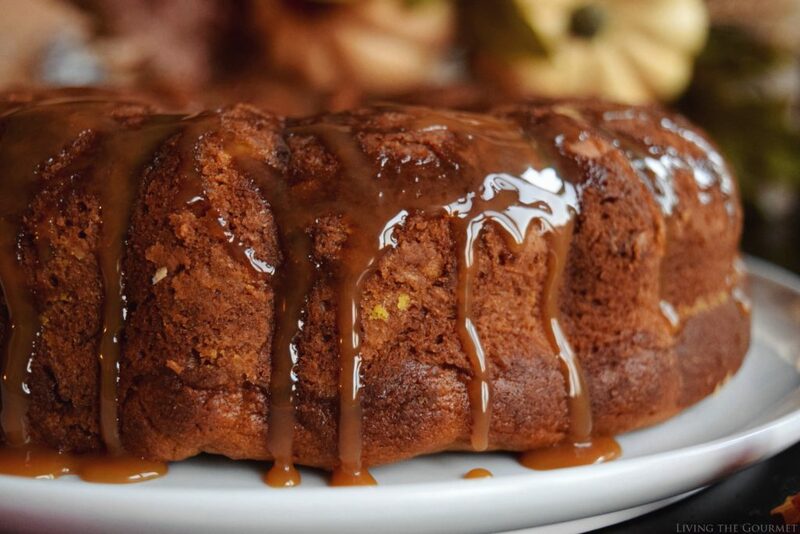 I couldn't agree more - I'd have a hard time trying to choose between a slice of this or pumpkin pie - this looks so moist, so scrumptious and ooh that caramel drizzle with it is just so dreamy! I got some mini bundt pans yesterday and so wanna try your super moist, autumn filled treat! I hope you have a wonderful weekend. Wait. 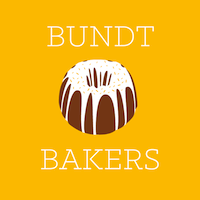 How did I not know about Bundt Bakers? Bundt cakes are my FAVORITE - so much better than sheet cakes, but not nearly as pretentious as layer cakes. 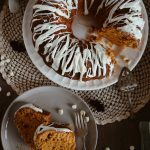 Your pumpkin spice bundt looks lovely! I don't normally make cakes from scratch but this one is tempting me sooo much right now. I bet the caramel sets that off beautifully! What a Lovely choice! The cake looks wonderfully moist. How can you possibly go wrong with pumpkin and caramel? 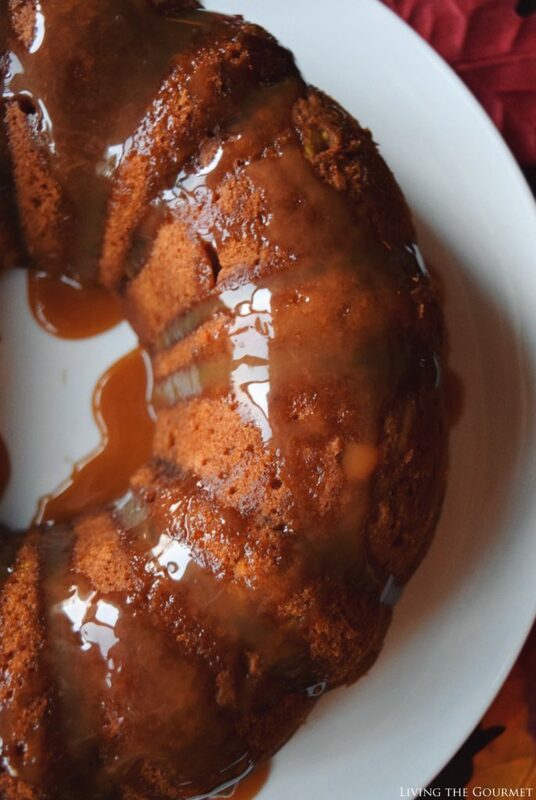 This bundt definitely has the best of both worlds - pumpkin and caramel. I wish I had a slice of it right now. Oh, Catherine! Thank you for the sweet words, and for this gorgeous cake! I am loving it! That drizzle is amazing, and your cake is so moist! A definite "must make" for me! That drizzle definitely sets your cake apart! I just love pumpkin and with fall upon us I certainly love this recipe to try . The cake looks fabulous! What a wonderful looking bundt cake. It looks like it is loaded with flavor -- the color tells me that there are plenty of spices to compliment the pumpkin. Great cake for the Fall season. This looks and sounds so delicious. The caramel drizzle is always my favorite but the pumpkin with cinnamon is what gets me. I Love it. I love freshly baked cakes, the glaze on this one looks terrific. I bet this smelled great coming out of the oven! Yum! This is perfect for fall. I would love a slice when enjoying a mug mug of tea! Great pumpkin recipe! Mmmm....What a delicious-looking pumpkin spice cake. The caramel drizzle is glorious! I'm so excited to make and sure this recipe!